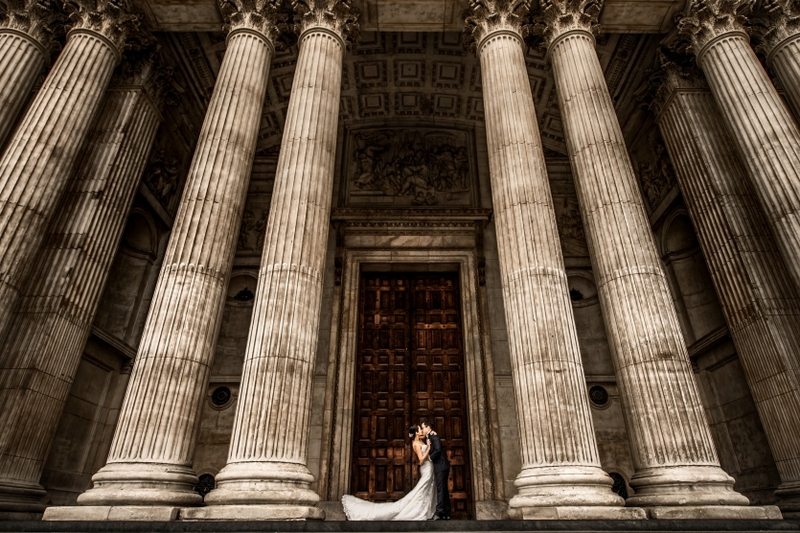 The photo was taken in London, in front of St. Martin-in-the Fields, London is the place where the couple have met each other and both of them are Christian. The church is so grandeur and magnificent , and the structure of the building is very balance. So, I arranged the couple to stand in front of the main door and make a big movement of the kiss to match this amazing background.